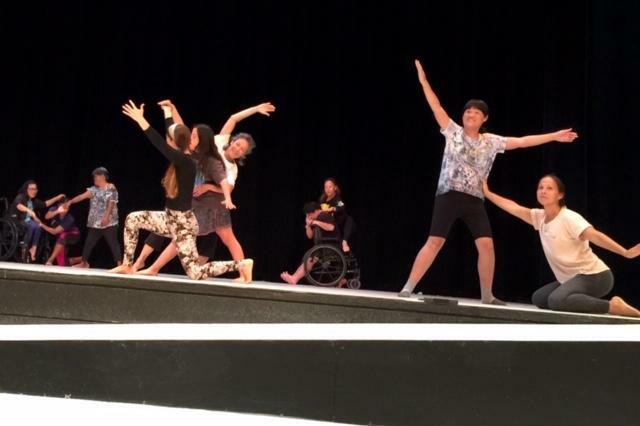 "Integral Bodies," is an inclusive dance performance program with students from Special Education Center of Hawaii joining other UH and community dancers. Friday through Sunday, April 5, 6, 12, 13, and 14, 2019, at UH Manoa's Kennedy Theatre. 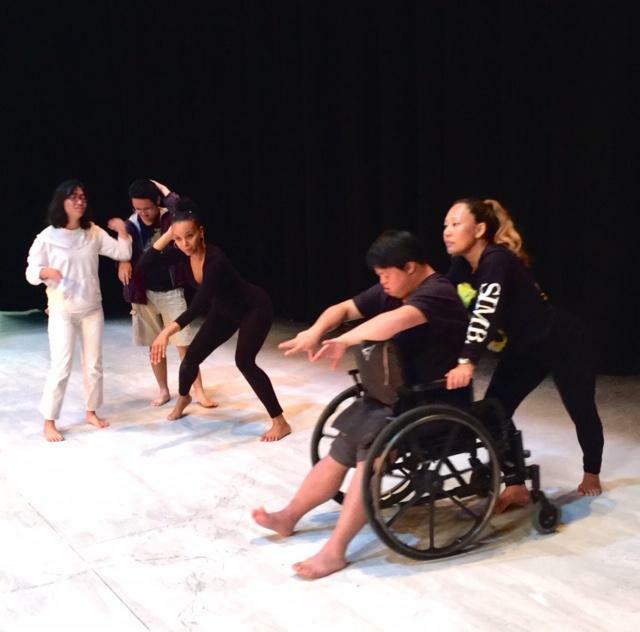 “Integral Bodies,” an inclusive dance performance directed by Peiling Kao runs Friday through Sunday, April 5, 6, 12, 13, and 14, 2019, at Kennedy Theatre on the UH Mānoa campus. Ever been in the stage door at Kennedy Theatre? 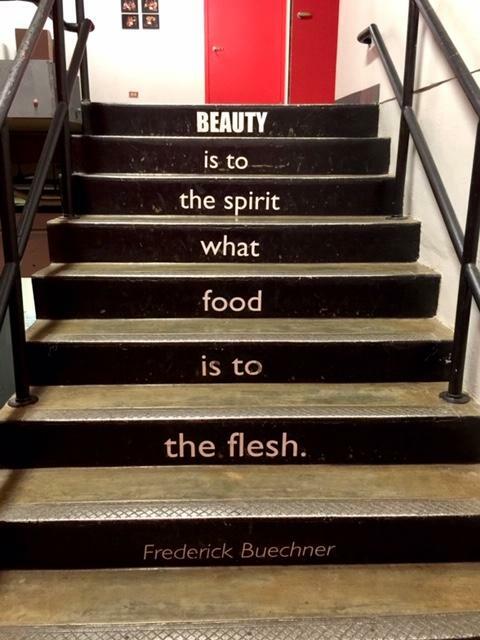 The inspirational aphorisms on the walls and stairs backstage are nice. We’re sliding into a dance rehearsal invited by Peiling Kao, the new assistant professor of dance at UH. 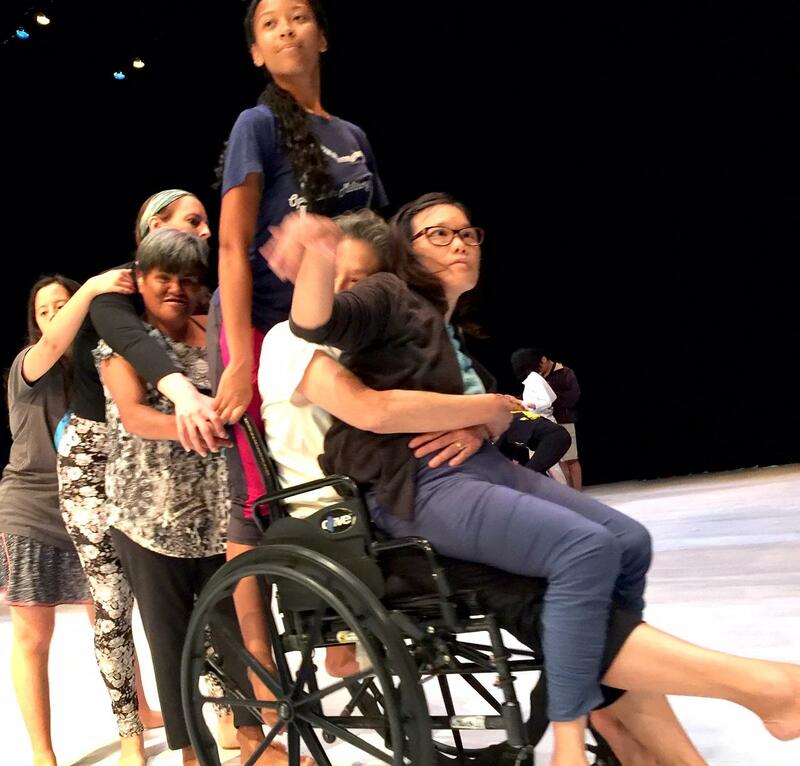 Seven students from Special Education Center of Hawai‘i are joining other UH and community dancers in her latest production. What a pleasure to meet Faith, Isaac, Nicky, Joshua, Tammy, Kayla and Margaret and the other fine dancers. That was Tammy with Rule #1. “As far as what we do, it’s honestly just being connected to each other. Whatever feels good to you, I then respond to it.” Dancer, educator, Alexis Johnson took a DanceAbility workshop with method co-founder Alito Alessi in Honolulu last December. Alessi is a pioneer in mixed ability dance, creating spaces for all bodies to enjoy movement. Johnson explained that one of their exercises is action and response. Johnson: You do something, then I interpret it and I do it. We have this back and forth communication with our bodies. It’s completely non-verbal. I think that takes us a level deeper into that connectivity we’re trying to have with everyone. No one cares what you look like in this group, no one is judging. The mixed ability dance numbers are largely improvisational. Johnson: Nothing is wrong, that’s a point we’re also trying to get across to our audience. There’s nothing wrong that you see on stage. Everything is normal everything is beautiful . 2 or 3 of them draped over, a real mess. Suddenly a leg shot out—and the toes pointed gently. “I think the main thing about working in a mixed ability group is that you’re sensitive to the other person.” Vivien Lee also took the Dance Ability workshop. Lee: It’s not all about you, doing your own thing. “I come from very conservatory training, trust me.” Peiling Kao, from Taiwan, studied ballet and modern dance, as well as Tai-Chi and Taiwanese/Chinese dance before coming upon Alessi’s method. A Guggenheim fellow, Alessi demonstrated what mixed ability dancing can do for the audience in a 2014 TED talk. Two men sit on either side of the stage, one in a wheelchair, wears bright red. His elbows and hands are crooked at unlikely angles, his fingers are immobile claws. At the end of twisted spindle legs, one athletic shoe digs into the floor, and Red drifts slowly across the stage. 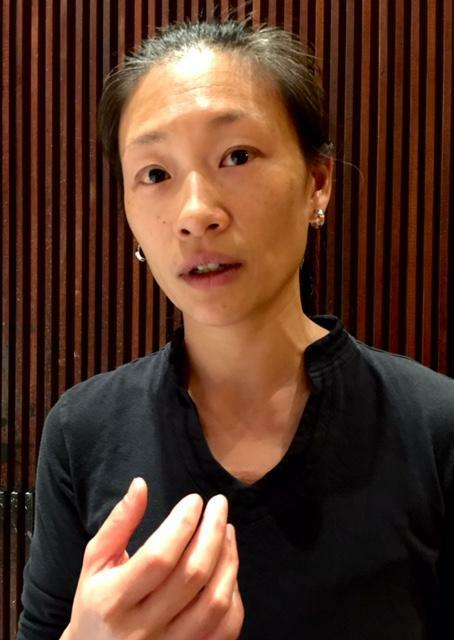 Peiling Kao, since 2016 Assistant Professor of Dance at UH Manoa. Grew up in Taiwan studying ballet, modern and Taiwanese/Chinese dance. She got her MFA in Dance at Mills College in 2010. Alessi, in black, glides forward on skates, they meet, they twirl, Black folds an arm, grasping hands Black tilts away, at one point, Red’s body goes rigid, he throws his head back in a turn --- an undeniable grimace of enjoyment on his face. Throughout, Alessi’s attentiveness is moving. Kao: This process is making me think of different ways, and also challenges me to think about, Is it possible we can have a space that allows all kinds of techniques to be there? Kao: It’s kind of like society. It’s the reality we live in. There are so many different kinds. It’s beautiful to have many different kinds.